Creative packs There are 5 products. 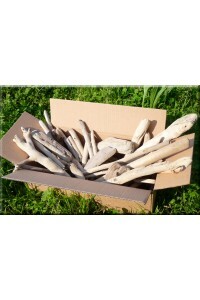 Many packs of driftwood to make objects by theme. 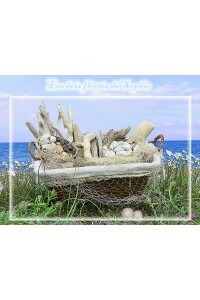 Mix of driftwood, pebbles, eucalyptus, sea pompons, shells, etc. 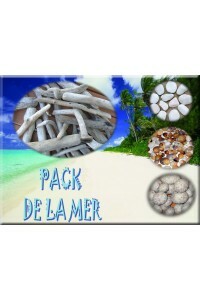 The packs creations are very original gift ideas. Trash Saleccia A nice basket garnished for an original gift! You want to make an "original" gift? 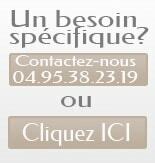 Choose "Creative Basket"! 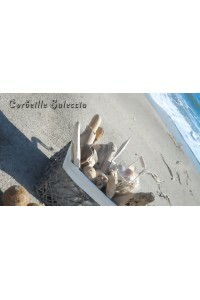 Driftwood PACK OF THE SEA A creative pack composed of several articles from the Mediterranean Sea for creations 100% sea and holidays. 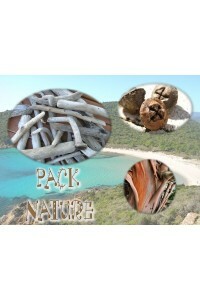 NATURE PACK For ever more personal creations. 100% natural products!